Very good ! Thank you! 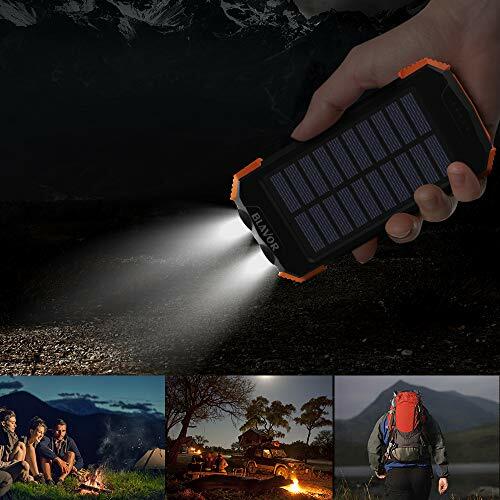 This product has everything I need for camping or festivals. It seems very well built and seems to have a lot of value for its price. I can’t wait to put it to work this Spring! It’s great charger as long as one end of your charge cord has a USB connection, you can charge it! I charge my iPad mini 1st generation with it as well as my iPhone x. Worked great for an emergency charge on our hike. Make sure to fully charge the bank, using an outlet, before using it. charger is nice and can be solar charged. This wireless charger is really convenient and useful, tangle free and cable free. 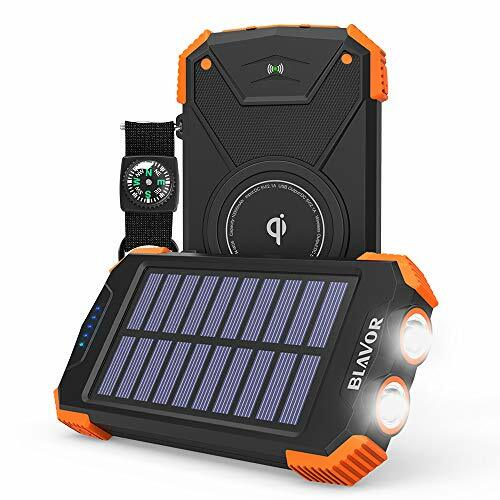 There is a flashlight and solar panel on its surface. It can charge itself with very limited light. This power bank is amazing. We do lots of outdoor activities and this has come in so handy at each activity. Not only is it a charger but also a very bright light. Sturdy design excellent quality. Not a piece of junk like most stuff from China. Appears to actually be able to hold up to some wear and tear. The light is pretty bright. 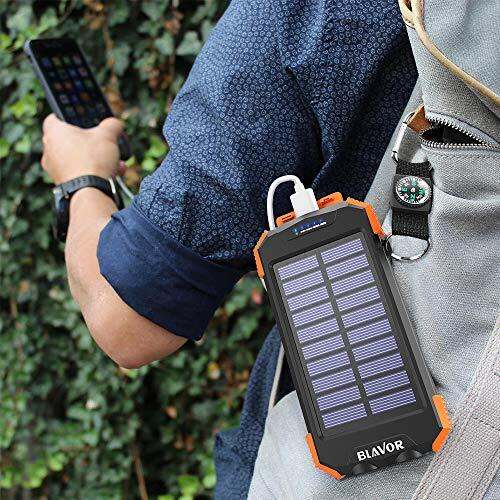 Overall, I’m impressed with this little solar charger. It’s about the same size as an iPhone 7 in an otter box case. 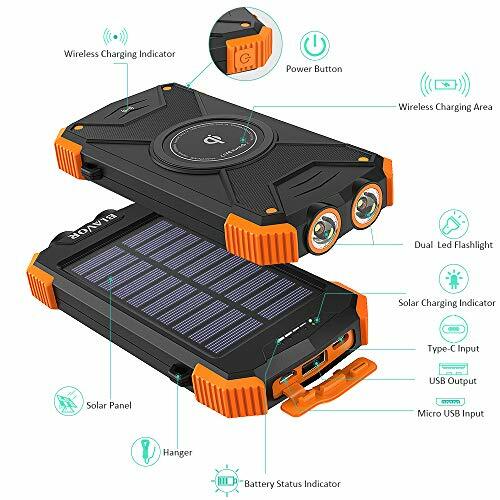 This solar power bank is excellent in every way. Recharges quick, wirelessly charges my phone, has a type C port and usb. Its material is solid good and won’t feel a thing if dropped. If you haven’t, get it. 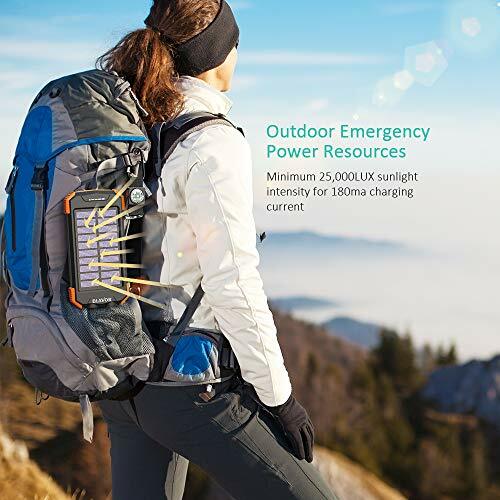 It is a good charger, I like its flashlight function and charger can be charged with sun light and even with day light bulb. Compass doesn't seems working correctly. The package was as described and it arrived quickly. 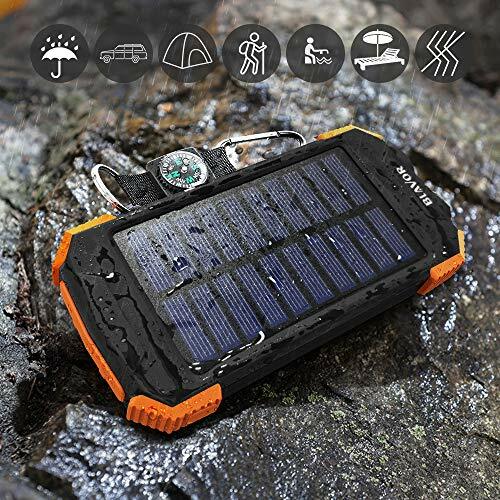 I like how sturdy the solar power bank is. It works great! Use it daily! This product shipped exactly as advertised. I do wish the solar charging was stronger but the product itself works great for wireless charging and charging through different cables. Love the fact that I can use it as a flashlight if needed as well. Works great. Has usb and usb charging ports. Might get another one for my son. Richard V.
Really nice to have and seems to be well worth the asking price. 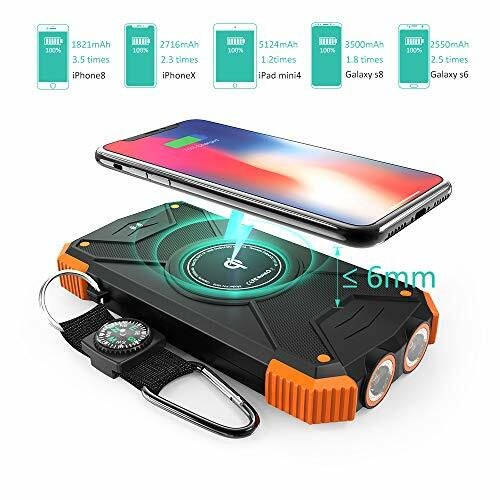 This power bank is AMAZING! Great quality construction and easy to use. The solar charging option is just perfect for those times when you are away from electricity and it's tough enough to handle my 14 year old son! Good quality and sold feel to it. So far I am enjoying this product. 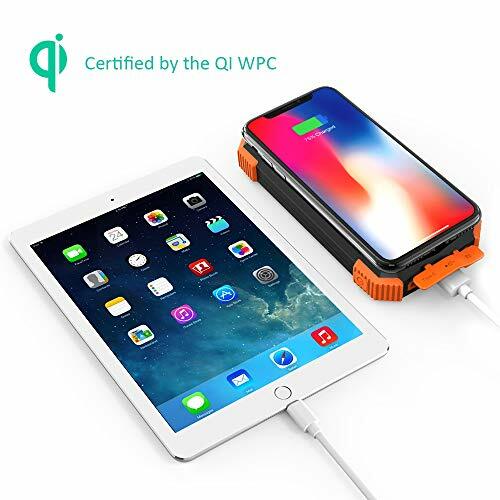 Easy to use, charges fast with the supplied cable, just a little bit slower with the qi wireless pad. It is really good..i love it. This charger is about the size of an iphone X, but twice as thick. The solar panels seem to be very sensitive. Behind a window, I really do feel it could take around 3 days to charge the battery from 0%. The materials are all good phone case quality, while being impact resistant in case of a drop. The Qi charging only goes at 5 watts, but it should be enough.